Dimming is particularly important, but also the ability to move lighting objects around the room, or to be able to have a combination of ambient, accent or scenic lighting elements on at any given time. “Lighting tends to have three elements to it—an ambient element, and accent element and a scenic element,” says Wilson-Rynell. “Every well-lit architectural space can be defined in those three terms. The ability to properly and easily control your lighting can be almost as important as the actual lighting itself. 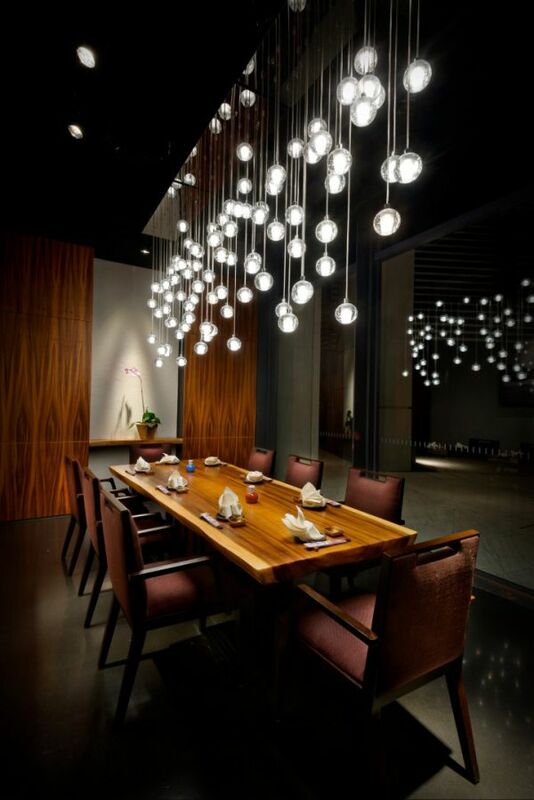 Industrial designer company Neoz has pioneered cordless lighting in Australian and international restaurants. Creating transition zones with lighting is also a good idea to help patrons adjust from the light outside. If you are creating an intimate ambience, the lighting will probably be darker than the bright sunlight of the day, so a succession of darker-lit areas will help customers adjust and also provide a subtle demarcation between inside and outside. This visual discomfort is due to the improper balance and contrast of light sources and the inability of the human eye to adjust quickly; it happens more often than we think. If your guests feel uncomfortable — visually or otherwise — when visiting your restaurant, they likely won’t return a second time. Before you even turn the lights on, it’s important to consider how the natural, passive light in your restaurant can be put to best use—all good lighting solutions start with daylight. “We always take into account where the windows are, what the aspect is, what is the function of the space, because these things all affect the colour of the light,” Wilson-Rynell says. “Often, little thought is given to what kind of light different fittings give off, and it’s not as simple as changing a bulb. Each light fitting has its own colour rendering and colour temperature characteristics and the cooler temperatures often aren’t great for skin tones. They might put a hole in your redecorating budget, but Rachel Davis discovers you should never leave the lights till last. Every time people look in the direction of a bright source of light, their eyes adjust; their eyes then need to adjust back when they turn their attention elsewhere. This adjustment can be uncomfortable and cause strain on the eyes. Even better, the right lighting can do more than just creating atmosphere. It can also boost the bottom line, Surin says. This mainstream adoption of LED light sources, however, has brought with it several new and vitally important considerations for restaurant lighting. Beware: The choice of dark woods, darker menu paper, dark wall décor, and dark furniture as accents can absorb light and throw off your carefully created restaurant lighting balance. How can you manage against these future changes in LED lighting technology? Buy plenty of extra bulbs now so at least the color and initial brightness will be consistent when a bulb needs replaced. Help reduce the potential for your guests to experience visual discomfort by softly illuminating other areas, painting surfaces a lighter color to reflect more light, and keeping the sun shaded properly to prevent bright daylight from shining directly on the wrong areas. Light pollution can come from sources like unshaded windows on sunny days, bright kitchen lighting, hallways, landscape lights outside, and the reading light at a host stand. Standard track and 2-circuit track systems look exactly the same and are installed no differently. Given the constantly changing nature of LED technology, when you install a new bulb five years from now, it will likely be significantly brighter than the bulbs surrounding it, have a different Kelvin temperature, or have a different Color Rendition rating. Since the small amount of light is being contrasted with very dark surrounding surfaces, it will appear very bright to guests’ eyes. As a result, it becomes uncomfortable for the guest to look around the room and back to the group fairly quickly as their eyes can’t adjust; it’s likewise uncomfortable to look around the room and then try to read the menu. 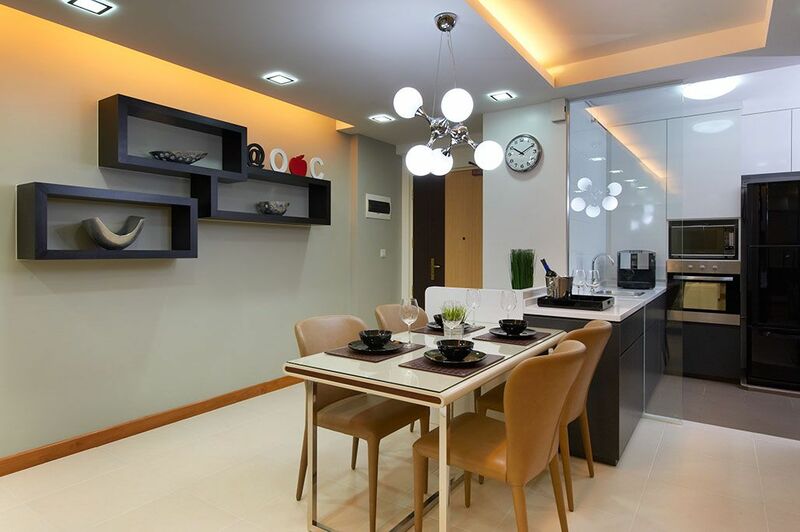 According to Surin, the most important lighting considerations relate to atmosphere and zoning. Lighting needs to be unobtrusive, but walkways and service zones need to be functionally lit, while tables need a relaxing atmosphere. Above all, Surin says lighting decisions should always be based around the customer’s experience. The trick to functional restaurant lighting is not getting the room as bright as possible, but rather to balance the amount of light in an area with surfaces and colors that avoid glare and eye strain. When it comes to restaurant design, there are a lot of choices to make. Restaurant lighting has the power to make or break your space; it can also be a cost effective way to shape the look and feel of your restaurant if budget is lacking elsewhere. These expert restaurant lighting tips are your best bet when it comes to creating a space that delights your guests. The other option is to stay with incandescent bulbs and sockets and pay more for your electricity bill month-to-month instead. Consider satin or matte finishes for materials that will have light shining directly onto them. When a room is brightly and evenly lit, this problem is avoided naturally; most fast food and lunch establishments don’t have much to worry about in this respect. Surin says he’s seen some restaurateurs get too bogged down in the details of a refit and don’t think about the big picture until they’ve run out of money or have almost finished the project. His top tip for restaurateurs considering a refit is to try not to focus on trends until the total effect has been considered, including the kind of business it is and the main clientele. These principles of lighting also apply in the more functional areas of the restaurant—passageways, kitchens, bathrooms, for example. It’s just a matter of how you blend them. “In the kitchen, ambient lighting needs to be strong because it’s a task-oriented area and people have to be safe,” says Wilson-Rynell. “There wouldn’t be much call for a scenic element in the kitchen, but you might have an accent area where food is placed ready for the wait staff, so that customers can see the food and admire it. Similarly, good lighting in bathrooms can influence our perceptions of cleanliness. In a dark-colored space, the proper way to light a room and avoid straining guests’ eyes is to provide less light and more surfaces to diffuse that light; indirect lighting becomes a near necessity to prevent glare in a dark space. LED technology is still largely under development and changes rapidly. Have you ever seen a repair shop that offers services for LED products? Not likely. Since LED technology and LED products change so frequently, it’s costly (read: a waste of time) for someone in repairs to constantly learn all the new features and the new challenges these features introduce. 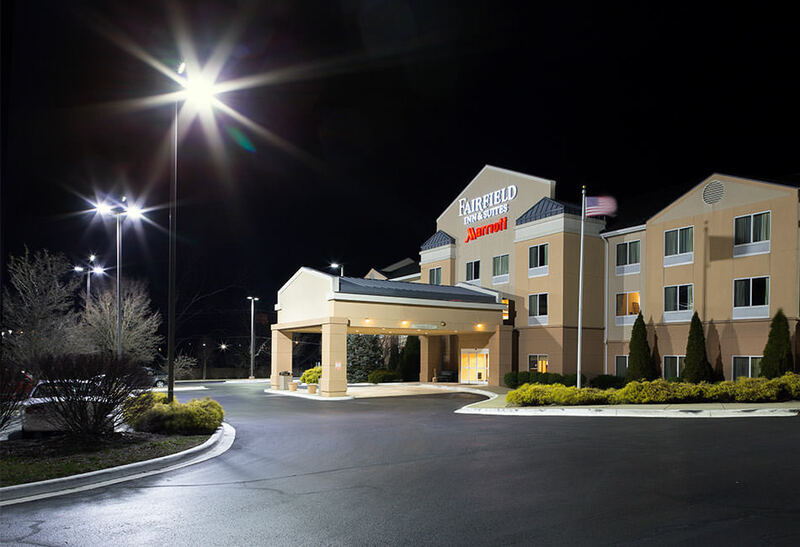 These days, because of energy savings and low maintenance, LED is very popular. “LED has challenged a lot of the principles and the original thinking of lighting design, because LED is very difficult to dim—it tends to flicker, and there is ‘noise’ that you didn’t have with traditional lamps,” Wilson-Rynell says. “Avoiding this comes down to the quality of the control gear and the type of dimming system. “There’s an argument to use halogen in certain spaces but only minimally. 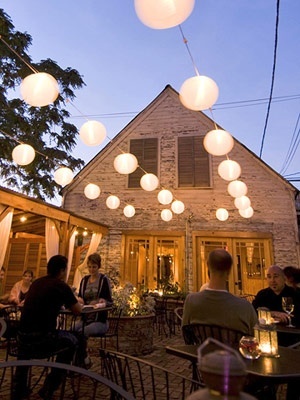 We probably would argue for halogen in a very intimate dining setting where you’re wanting to have warmth. Also, candles still have a strong place in restaurants,” explains Wilson-Rynell. Lighting fixtures are not the only source of light in your space: Reflected and diffused light can be manipulated to provide comforting illumination in your restaurant. Creating the right mood doesn’t have to blow your budget. Surin says there are some cost-effective solutions, such as the use of colour. Though the big ticket items like floorplan and color scheme are usually attributed with shaping the look and feel of your space, how you choose to employ restaurant lighting can transform your space from drab to fab. David Gray is a leader in the Lamps Plus Professionals division, which offers personalized service for residential, commercial and multifamily lighting design and home furnishing projects sourced by interior designers, builders, contractors and architects. He is a certified lighting specialist with the American Lighting Association. What is my plan should an LED fixture run out? Is it likely a replacement fixture will be readily available to match, or will I need to replace it with a different coordinating style? Am I financially able to replace all of my LED lighting fixtures so I can maintain a uniform look in my restaurant? If your intent is to have the most versatile and adaptable lighting for your space, upgrading to 2-circuit track is a moderate investment with considerable benefits. Stylized bars and dinner spaces are an entirely different story: Many establishments make the mistake of using one singular “dim” light over a table to illuminate the guest’s dining area, but the surface the light is meant to illuminate is completely black. The ability to adjust restaurant lighting around the room at a whim is appealing to restaurant owners and managers, which is why many restaurants invest in standard track lighting. Restaurant & Catering magazine and its associated website is published by Engage Media. All material is protected by copyright and may not be reproduced in any form without prior written permission. Explore how our content marketing agency can help grow your business at Engage Content or at YourBlogPosts.com. Stray light can come from a variety of unplanned sources. Any step taken to minimize this will help increase the comfort of your establishment. A well-designed lighting system that helps to convey a sense of the experience you’re selling to your customers—of warmth and occasion, or, alternatively, drama and quirkiness—is one of the most important investments you can make. In hospitality, atmosphere is almost as important as what comes out of the kitchen. When your customers arrive, they expect a level of comfort to be found in the food, the service or the environment. Lighting is central to a good atmosphere, and visual comfort is the goal. “It can be as simple as glare control—for example, not having obvious brightness in the ceiling,” says Nathan Wilson-Rynell, regional manager Oceania for Erco Lighting, which specialises in architectural lighting design. “Think about the white light of a 24-hour convenience store and compare it with a five-star hotel lobby to get an idea of how important subtlety and atmosphere are to hospitality. The advent of affordable, bright, LED light sources is here, and is projected to make up 60 percent of the world’s lighting in 2020. Switching to or investing in LED light sources is a smart business decision: LED light sources pay for themselves with the amount of energy they save. In any space, there are unavoidable sources of light that can undo all the careful time, effort, and attention you put into your restaurant lighting. But don’t be fooled: Restaurant lighting is much more than just which light fixtures you choose. Here are some expert tips, tricks, and techniques from real restaurant lighting professionals that will help you create a memorable space guests will love visiting again and again. 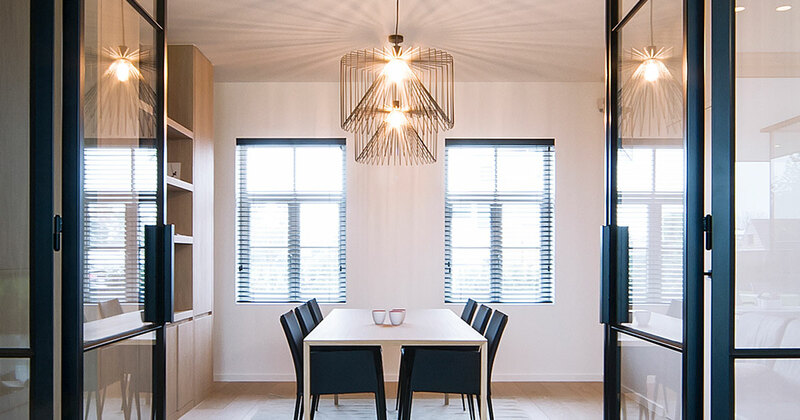 Dilhan Surin is a senior designer with Response Group, an interior architectural firm specialising in hospitality design, and he knows all too well the importance of lighting. Though they’re slightly more expensive than standard track lighting systems, they make up for the cost difference in added benefits: A 2-circuit track provides restaurants with a second electrical load that can be controlled with separate switching, and even more lighting versatility than is possible with a standard track. When our pupils are forced to adjust dramatically each time our eyes move from one surface to another, that’s a muscle being exerted. The result of more exertion is discomfort and headaches. From floor to ceiling and everything in between, restaurant owners must decide on a look and feel for their space that is not only memorable, but functional. Choosing lighter-colored paint, decor, and finishes for surfaces like countertops, tabletops, bars, floors, and walls will help reflect light within your restaurant and make it a more calm, welcoming, enjoyable environment for guests. Tour your space frequently to have a handle on areas where a light source shines light improperly into the eyes of any customer. It’s also important to include non-glossy surfaces in your restaurant if you’re focusing on harnessing the power of reflected light. The glass over a picture, glossy paint, shiny metal furniture and chrome decorations can create annoying glare by reflecting too much light directly into the eyes of people. No more than three times as bright as the surrounding surfaces. No more than 10 times as bright as walls and floors within the line of sight. Choose your fittings carefully for the best effect. 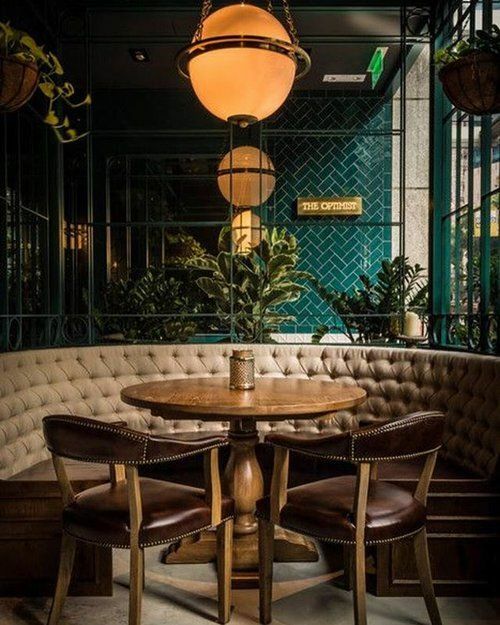 “Generally light fittings manufactured specifically for restaurants are larger as they need to look right in larger rooms which generally have higher ceilings,” says Jerry Hodkinson, from Andy Thornton Ltd, a UK company specialising in reclaimed and antique restaurant furnishings. “Domestic lighting can look dwarfed in large areas. 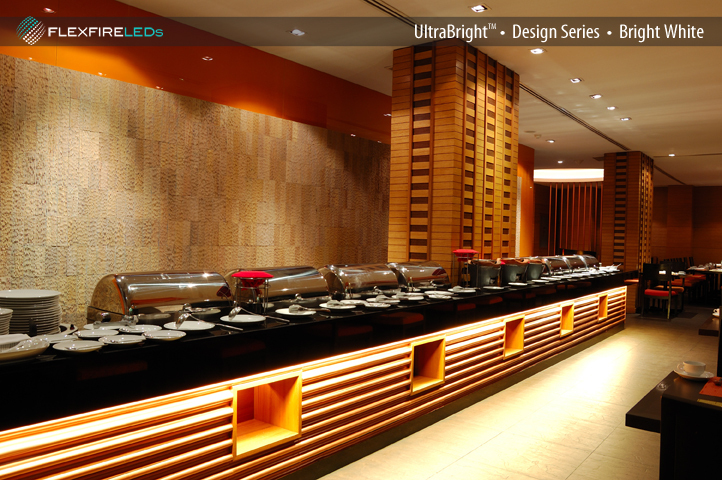 2-circuit tracks enable restaurants to “set the mood” and use one set of lights for daytime meal service, and a different set of lights for dinnertime. When so much hinges on atmosphere and mood in today’s crowded world of fine dining, shedding the right amount of light on your subject could be one of the most important decisions restaurateurs make. Director Peter Ellis says managers should think about the logistics of how they want to control their lighting early on in the design stage. Finding the right mix of ambience and function should never be taken lightly. Your placemats, dish ware, tablecloths, and flooring also provide surfaces where light is reflected, diffused, or absorbed. A light-colored surface turns that surface into a light source; a dark colored surface will turn that surface “off” as a light source. LED lighting is a better choice than standard incandescent and fluorescent lighting in nearly every situation unless you’ll be unwilling to part with the money necessary to replace your current restaurant lighting with LED alternatives. 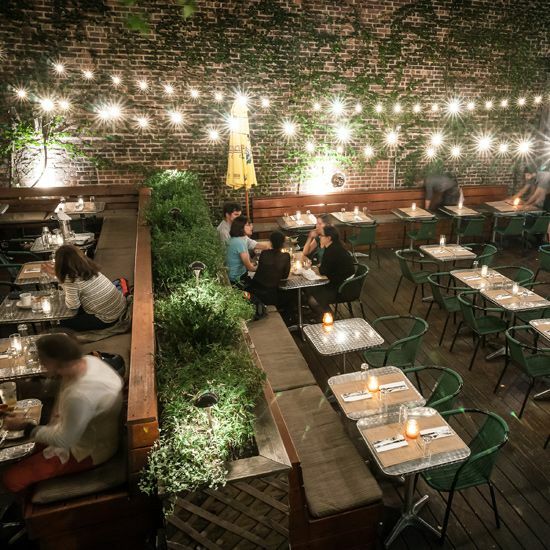 For those restaurateurs who want the adaptability standard track lighting systems offer, pause before you make the plunge and consider investing in a 2-circuit track. Window shades Choose a subdued, non-glossy paint for the kitchen walls visible to your diners Reposition outside lights shining on the building Adjust light shades on wall lights, overhead lights, and other lights in your restaurant so that the light bulb isn’t visible Relocate or shade any light bulbs you can see directly or in a reflection.